Here you can read our upper blepharoplasty testimonials. Upper blepharoplasty is also know as an upper eyelid lift. Read more about upper blepharoplasty or to book your consultation call 01943 882011 or email info@skinsurgeryclinic.co.uk. “Very friendly staff, comfortable environment. “Service provided is excellent and to very high standards. 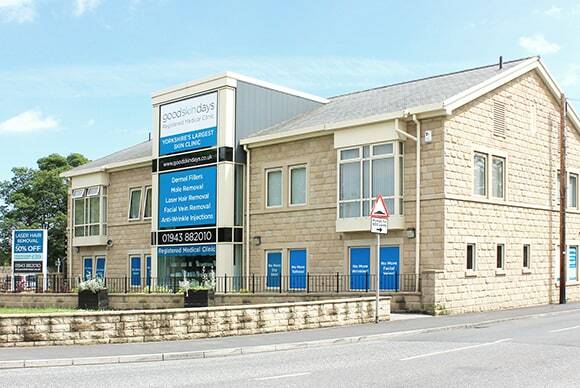 Clinic (Guiseley) and staff all professional but friendly which puts you at ease, especially if you are nervous. Mr Jay Wiper who did my op was totally amazing and I am SO pleased with my results I wouldn’t hesitate to recommend the op to anybody thinking of looking in to having it done. To say it has transformed me would not be an exaggeration. It has increased my self-confidence and feelings of self-worth. “Dr Watt and his teamed provided a friendly efficient service from start to finish. The nursing staff were available to address any concerns following my treatment and reassured me that Dr Watt could see me if I wished following my operation. I am delighted with the results of the procedure. “The upper blepharoplasty procedure was completely painless. I had a small amount of post op bruising, but could carry on with life almost immediately after. The recovery time was around one week. Once my sutures were removed the result was immediately evident. “Having thought for a long time about upper eyelid surgery, I decided to meet up with Mr David Mather to discuss the surgery. I felt confident and happy to continue with Mr Mather. Surgery was quick and painless. Within days I knew it had been the right thing for me. Now, six weeks after, I feel fantastic. Thank you. “I would recommend Skin Surgery Clinic to anyone. Mr Mather and all of the staff here were excellent. The clinic itself was very clean and comfortable from the reception through to the theatre. “The staff were absolutely brilliant, the place itself was clean and the atmosphere was very positive. Mr Williams was the nicest person you wish to meet. Overall I would recommend the clinic to anybody. “I attended the clinic for a blepharoplasty operation under Mr Watt, having been recommended and seen his work via social media / website. I travelled quite a distance just for his work. The team were amazing – so very welcoming and professional, from having my first consultation to the operation and six week review. Thank you Nurse Lorraine for your kind and caring assistance, and putting me at ease, especially on the day of the operation. 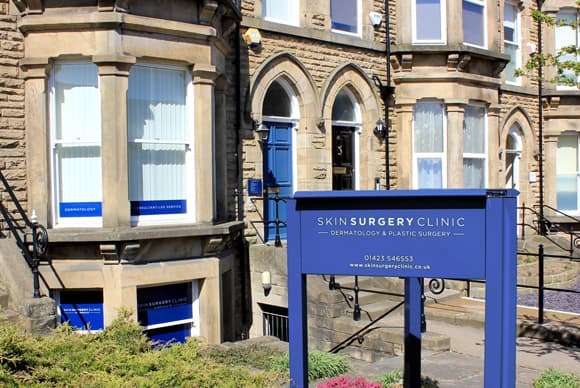 “I can highly recommend treatment at Skin Surgery Clinic. From arriving at the clinic to leaving I was put at ease. Nothing was too much trouble. “I had total confidence in the surgeon, Mr Watt, having done plenty of research in advance of my treatment. The actual surgery was a very simple, painless procedure, well within my expectations. The care and service provided by everyone at the clinic was outstanding. I am very happy with the results and would not hesitate in recommending the Skin Surgery Clinic to anyone.